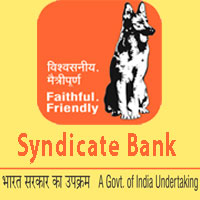 Syndicate Bank invites Application for the posts of 500 Probationary Officer in Junior Management Grade / Scale-I through the One year Post Graduate Diploma in Banking and Finance course. Apply Online before 17 January 2018. Syndicate Bank Selection Process : Selection will be based on online test followed by Group Discussion or/and Personal Interview.